In Europe and Central Asia, the region in which I currently work, residential energy consumption is one of the main contributors to Green House Gases emissions. This is partly due to the fact that a large part of the housing stock in Former Soviet Union countries is made of prefabricated concrete multi-story buildings with very low energy efficiency. Another reason for this is the existence of energy subsidies which fail to pass real price signals to consumers. Many countries in the region have started pilots or programs to improve energy efficiency by offering subsidies to retrofit buildings. These investments have proven to have short return periods and be of special interest for homeowners. However progress has been slow and most programs have not seen significant success. Another policy option, rising electricity tariffs to reflect real prices, has proven to be difficult. In particular in a post-crisis environment with stretched households budgets. Around a year ago (Feb, 2013), Prime Minister Boiko Borisov of Bulgaria resigned following a week of public anger over rising electricity prices. So where does this leave us? A recent experiment run by Opower in the US might give us a hint of additional policy options to reduce residential electricity consumption using social norms. Opower is a software service company partnering with utility providers to improve energy efficiency. 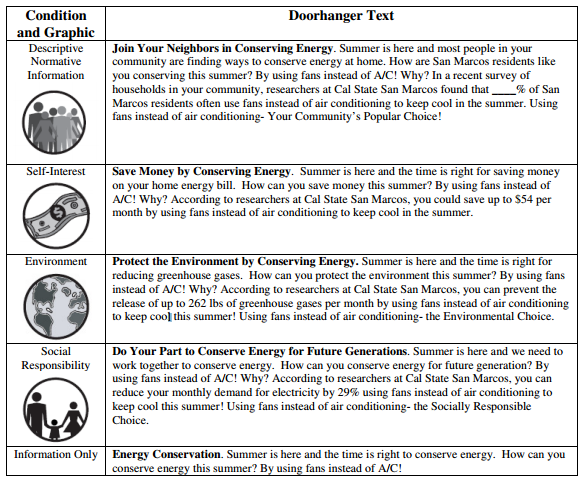 It got inspiration from an energy conservation experiment made in the early 2000s in California that tried using four different messages printed in doorhangers to nudge people into reducing electricity consumption: (1) do as your neighbors do, (2) save money by conserving energy, (3) protect the environment by conserving energy and (3) conserve energy for future generations. Results from this experiment showed that only social norms (1) led to a significant reduction of electricity consumption. Opower recent experiment involved sending Home Energy Report Letters to 600,000 families across the United States. These letters compared electricity consumption of each family to that of an equivalent neighbor (see image below). What did they found? Apparently people really care about other people and how their behavior differs from the “social norm”. These programs led to an average reduction of energy consumption by 2 percent. While this does not sound like a major change, it is the equivalent of an increase in electricity prices from 11 to 20 percent. In fact its cost-effectiveness is similar to traditional energy conservation programs. I would love to try this out in the Europe and Central Asia region, and it might even be useful in other contexts in which there is little political will to redress energy prices or where there is a substantial need to change people’s behavior due to possible electricity shortages (See recent article on The Economist on the possible Energy crisis in Brazil). As usual here are some links for additional information. The right incentive framework is not always in place for renters, as depending on the rental arrangements, retrofitting is generally paid by owners but gains in energy efficiency benefit mainly renters.